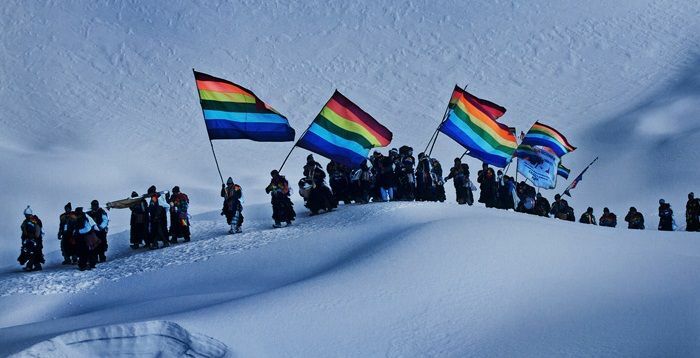 The hightest summit of the Andean religion is the pilgrimage to the Lord Qoyllur Rit’i. It coincides with the full moon at the end of May or beginning of June, 58 days after Easter Sunday and 3 days before Corpus Christi. According to the Great Academy of the Quechua Language, both words mean shining snow, it is an event that approximately one hundred thousand pilgrims come to see annually since 1780. According to oral tradition Marianito Mayta sees and builds a connection to baby Jesus. It should be noted that this religious event arises at the same time as the revolution led by José Gabriel Túpac Amaru. Future investigations will clarify the connection between those two events. At Qoyllur Rit’i we can witness elements of the surviving Andean cosmovision combined with Catholicism. However, the highlight is the 24-hour procession on the final days of the pilgrimage, to the Sun Praised or Intialabado. It is a solar cult without any Catholic elements even though the rite of the Tayankani Cross brings together thousands of people of different nations. In my observation, I consider it the emulation of the Southern Cross or Chakana, a box in the shape of a cross crowned with feathers and displaying the face of an Andean Christ accompanied by products from the villages gathered in the surrounding areas of the Apu Ausangate . During this night tour, we get to small estancias known as Apachetas, which also allow astronomical observations. The pilgrims dance for days before the shining white snow. The dances Cápac Qolla, Cápac Ch’unchu and Pablitos are the main acts, but we will also be able to see the Wayri Ch’unchu or Puka Pakori dances, for which the performers proudly wear their big red feathers (macaw feathers) together with the well-kown Ch’unchachas dancers, they can be identified through their feathers. 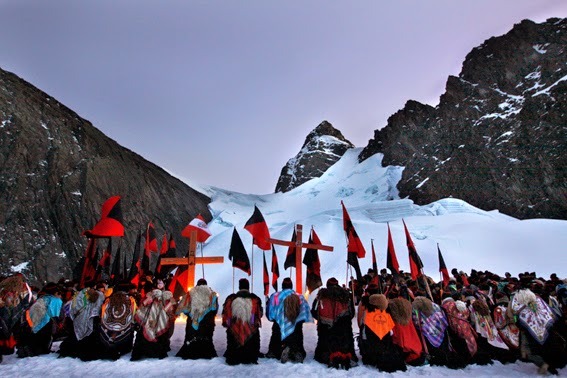 The dancers from different areas from the Amazon and from the Andes join around the Lord Qoyllur Rit’i and the Tayankani Cross.